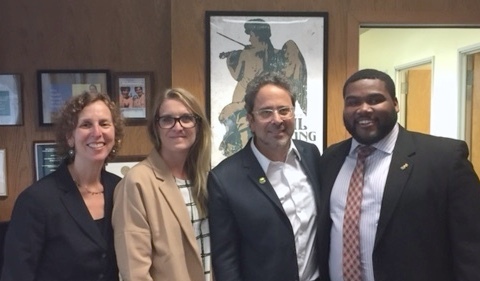 The Hollywood Homeless Youth Partnership collaborated with the Office of the Los Angeles City Attorney, Youth Policy Institute, and other community partners to organize Hollywood Homeless Youth Connect Day, a homeless court citation clinic and resource fair. 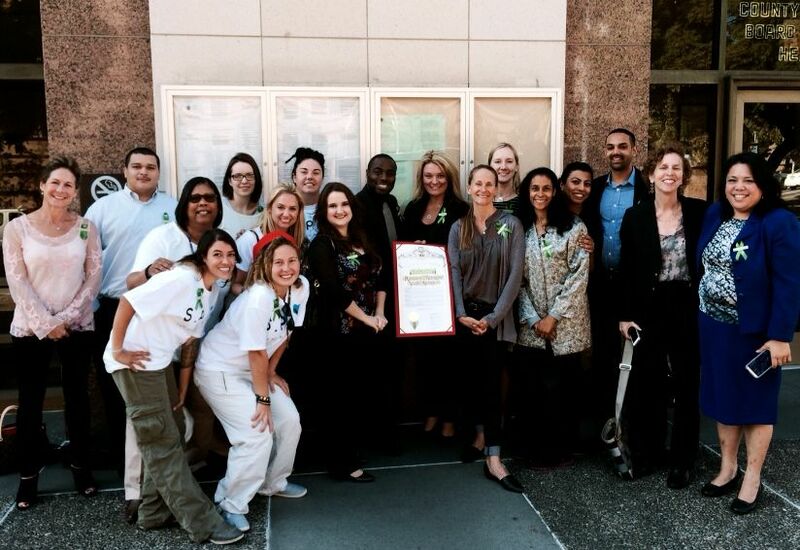 Unlike past homeless court clinics, this event was focused specifically on youth experiencing homelessness. 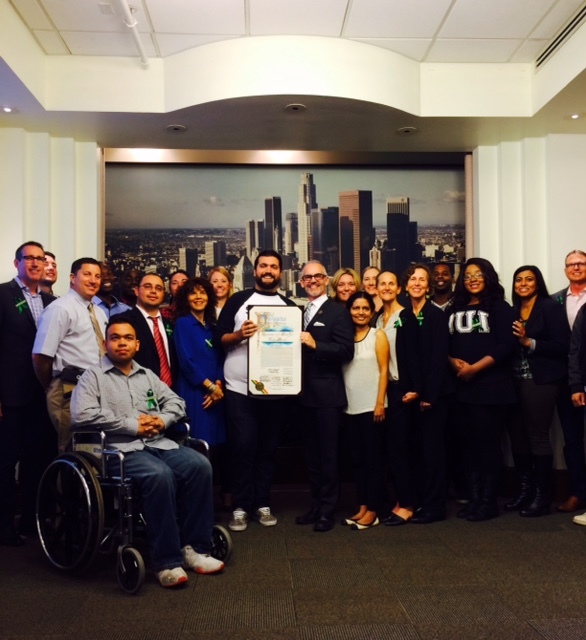 We welcomed over 200 attendees at the event, which was held at Covenant House California. Other HHYP agencies participated as service providers as well – Children’s Hospital Los Angeles, Los Angeles LGBT Center, and Step Up on Second. Youth and other attendees were able to connect with volunteer attorneys to gather information on outstanding citations and connect with service providers who they could work with to do community service hours to reduce or eliminate fines they are unable to pay. Attendees were also able to get information on housing resources, such as the HHYP’s Youth Coordinated Entry System Pilot, and Department of Mental Health housing opportunities. Other cost-free services included haircuts, a clothing closet, employment & education information, lunch, and a collective art space. 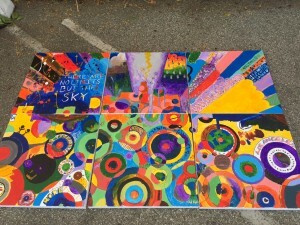 Collective art project painted by various participants. The artwork will soon hang in City Hall. Tiffany Jamoralin (HHYP Network Manager), Arlene Schneir (HHYP Co-Chair), and Jessica Ivey (HHYP Youth Coordinated Entry System Coordinator) at HomeWalk 2015. 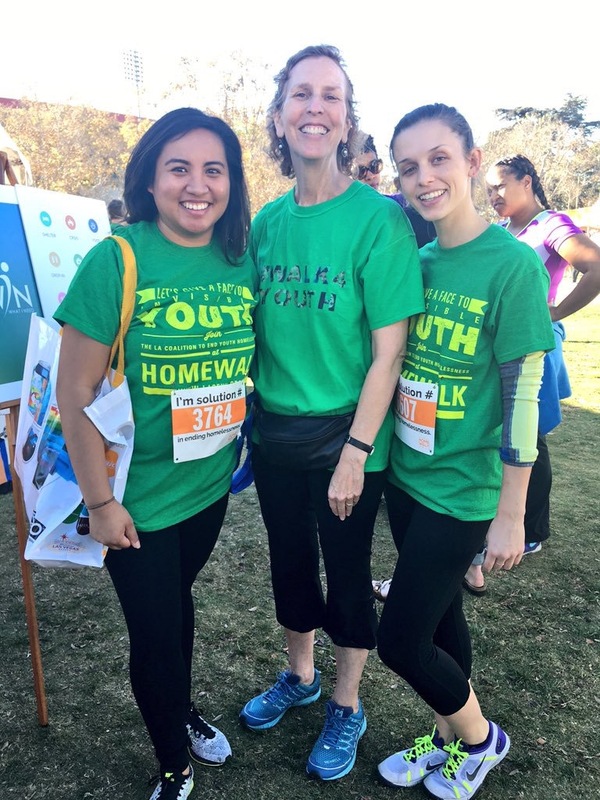 In recognition of California’s Runaway & Homeless Youth Month, the HHYP participated in United Way Los Angeles’s HomeWalk with the LA Coalition to End Youth Homelessness (LACEYH). 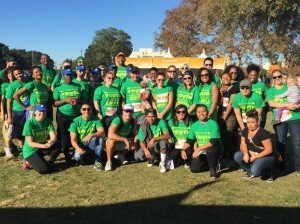 The LACEYH team brought over 30 individuals to support community efforts toward preventing and ending youth homelessness in Los Angeles County. 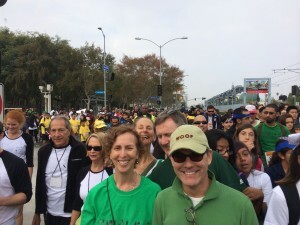 In total, nearly 12,000 participants walked the streets surrounding Exposition Park to show solidarity in the quest to end homelessness in Los Angeles. 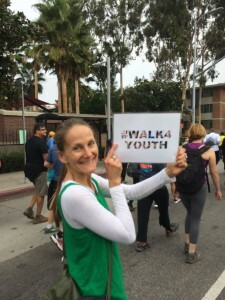 Every year, 8,500 young people walk through HHYP agencies’ doors for various types of services –medical, mental health, substance abuse, housing, and support services. LA Coalition to End Youth Homelessness at HomeWalk 2015. 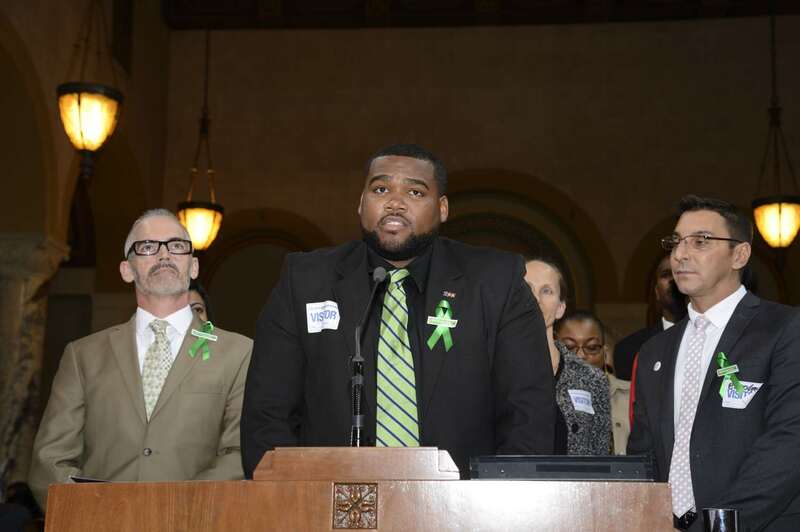 Our Education & Employment Workgroup hosted a Community Partner Luncheon on April 29, 2015. 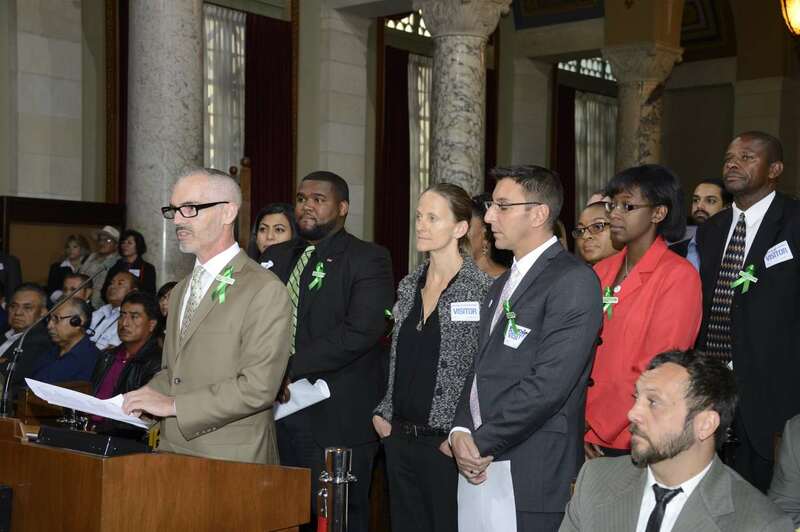 One of the HHYP’s desired outcomes is to connect youth experiencing homelessness with employment opportunities that allow them to visualize a greater future for themselves. One of the ways we do this is by identifying and outreaching to employers, educators, and trainers in our community that are interested in partnering with HHYP agencies. HHYP agencies welcomed community partners to learn about our organizations and services we provide to youth. Our event took place at The Village at Ed Gould Plaza (LA LGBT Center), where we hosted over a dozen community partners. Guests were invited to interact with our agencies, including our resident employment specialists who help prepare the youth for employment. During lunch, we hosted a panel of various speakers – employers who have partnered with HHYP agencies in the past, employment specialists, and youth themselves. Our speakers shared their experiences with connecting our youth to employment, both the challenges and successes. 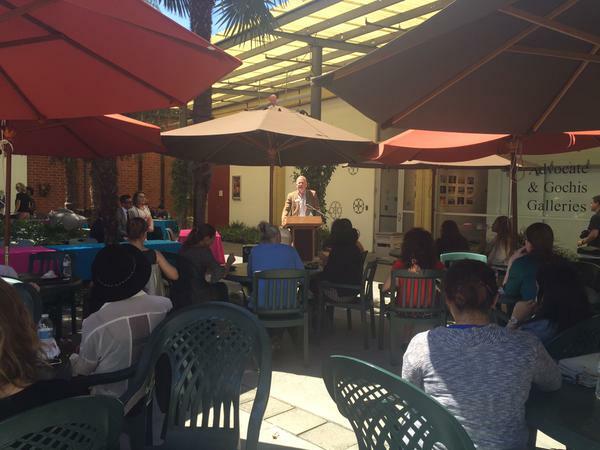 Thank you to the LA LGBT Center for providing a beautiful outdoor space for our event! 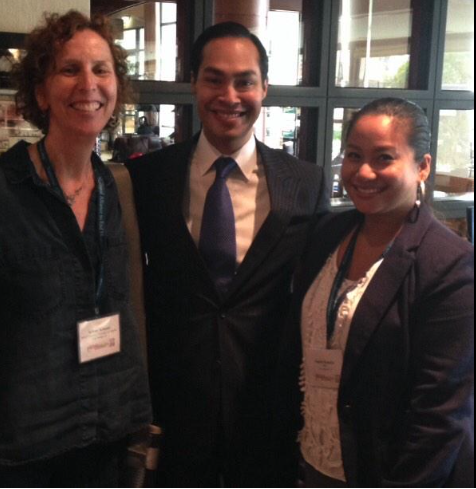 Overall, we have received a great response from local business and job training leaders. We hope to continue to cultivate our relationships with our partners, so we can work together to help young people increase their capacity to support themselves and avoid future homelessness. 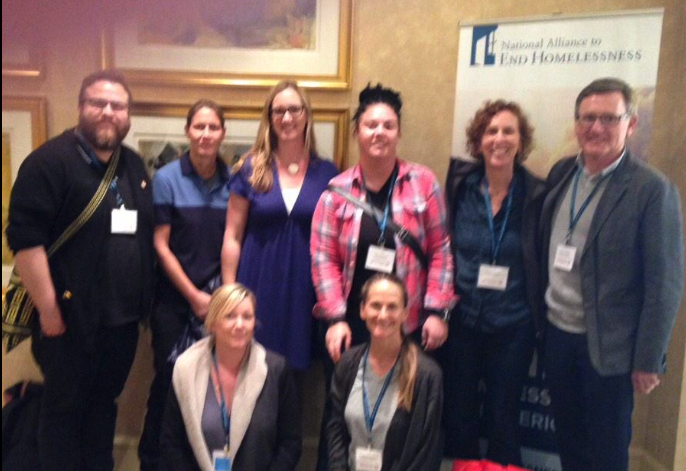 HHYP Member and Partner Organizations attend the National Alliance to End Homelessness Conference in San Diego. 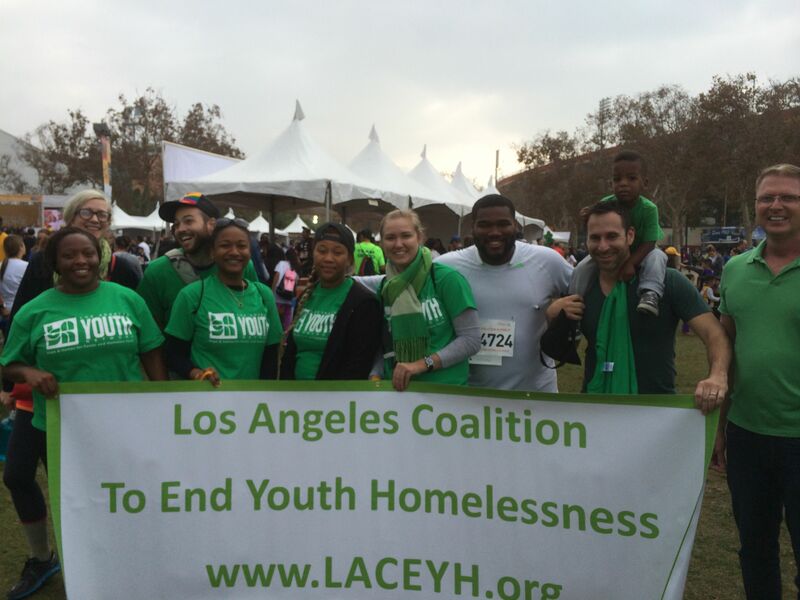 The HHYP along with community partners and advocates with the LA Coalition to End Youth Homelessness participate at the 2014 Homewalk. The objectives of the Research Symposia are to provide local researchers a forum to share research conducted on youth experiencing homelessness and for service providers to gain access to data that provides more information about the needs of youth, which in turn, promotes service delivery that represents best practices. Presenters speak about their research and answer questions from the audience and a panel of speakers representing HHYP agencies shed more light on the practical application of the research. The symposia are well attended by service providers, system/county representatives, funders, community partners, researchers, and advocates. Continuing Education Units are offered and the event is taped to offer the trainings on our website. The HHYP partners with Center for Strengthening Youth and Prevention Paradigms (SYPP) at CHLA to host these events for the community. The SYPP Center provides capacity building assistance (CBA) services around community mobilization, social determinants of health, HIV prevention, and sexual minority youth. 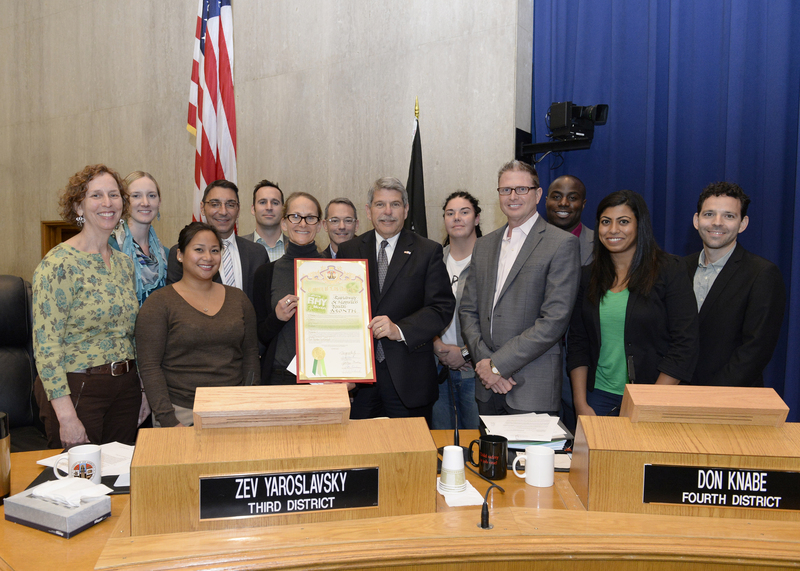 Los Angeles – On behalf of the Los Angeles County Board of Supervisors and Los Angeles City Council, Zev Yarsalvoksy and Mitch O’Farrell respectively led presentations to proclaim November 2013 as Runaway & Homeless Youth Month in the County and City of Los Angeles. The Hollywood Homeless Youth Partnership stood with the following community leaders dedicated to addressing and resolving this complex social issue of reducing and ending youth homelessness: Children’s Hospital Los Angeles; Corporation for Supportive Housing; Connect2ProctectLA; Covenant House; Jovenes Inc.; LA Gay & Lesbian Center; Los Angeles Youth Network; My Friend’s Place; Safe Place for Youth; Step Up on Second; and The Village Family Services. 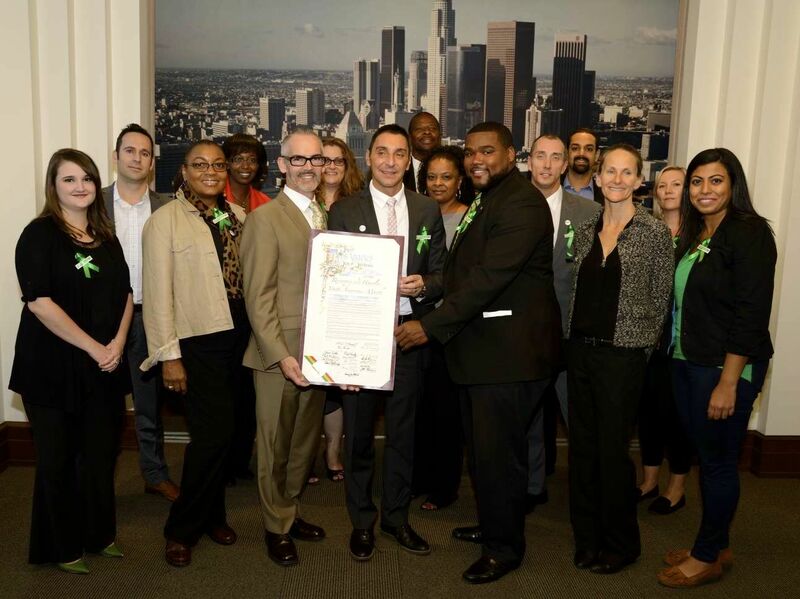 Runaway & Homeless Youth Month is recognized nationally, in the state of California, and now, officially, in the city and county of Los Angeles. 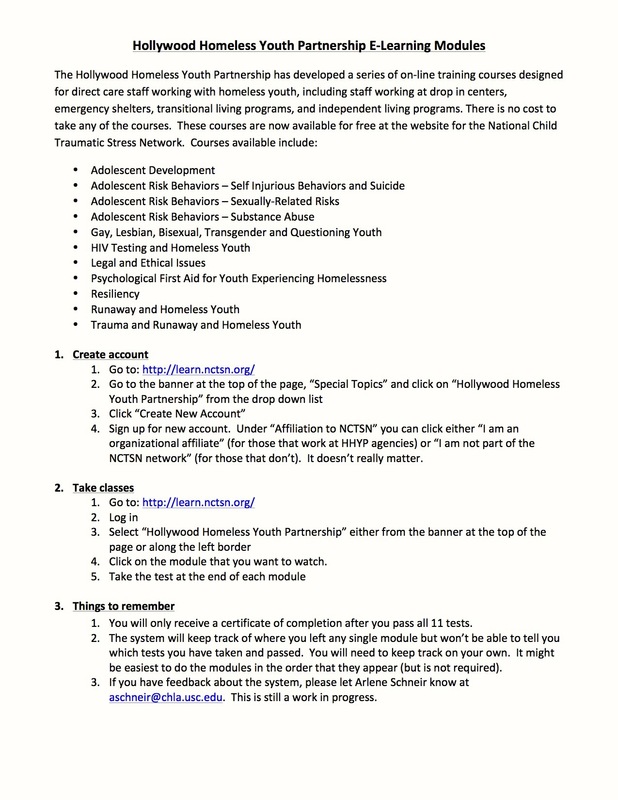 For more information on RHYM, please visit California Coalition for Youth. Jevon Wilkes delivering his remarks, "Overcoming Adversity"
© Copyright 2019 HHYP. All rights reserved.